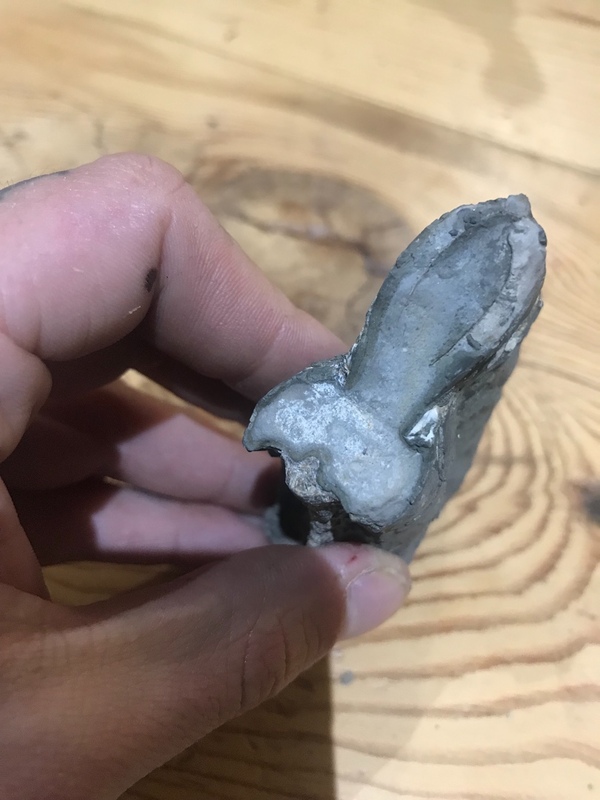 I found this fossil down port mulgrave and thought it was a broken part of a rather large annomite. However on inspection it’s looks a little unual to me. 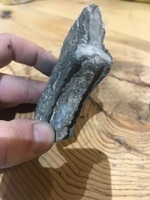 It’s about 100mm long by 50mm and 50mm by 20mm the other way. 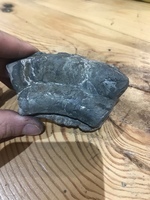 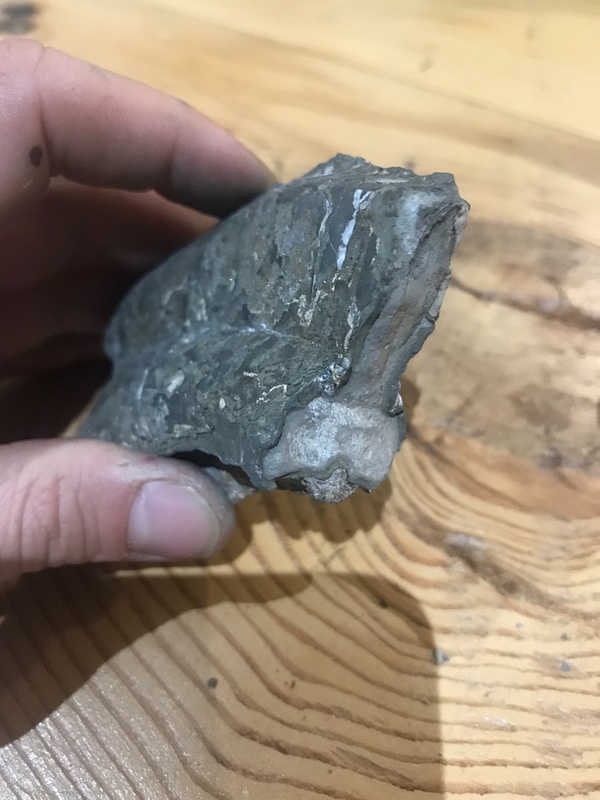 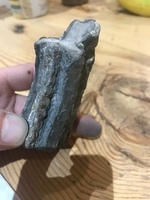 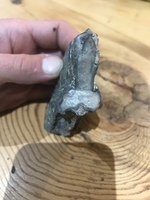 Although I am fascinated by fossils I pretty much have no fossil knowledge, so any help on this would be greatly appreciated. Looks like a partial whorl of a badly beaten up ammonite and is that the siphuncle I see in the cross sections? 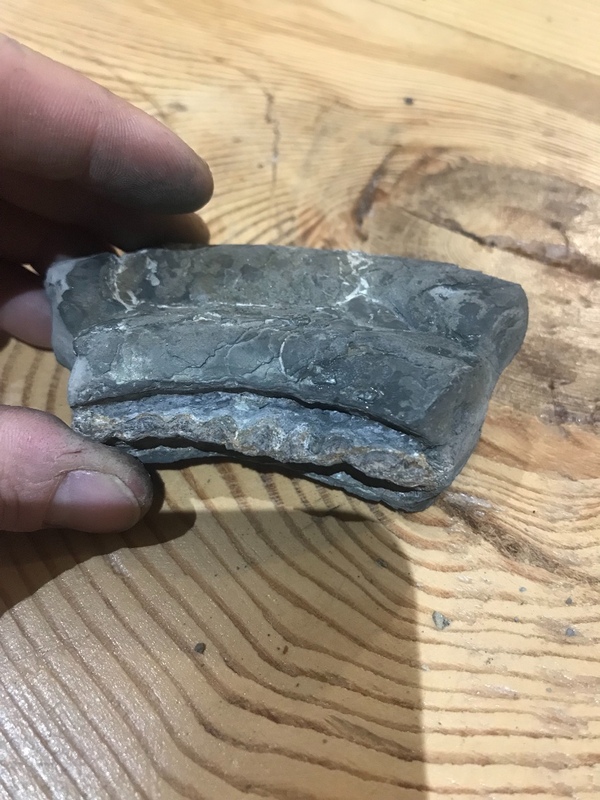 Pete is spot on, someone will be able to tell the genus from these photos would think, but not me!